I wouldn’t call myself a headset guru, but I know my way around quality sound, which is why I was interested in taking a look at the new, affordable unit from Logitech. In short, the low-cost headset isn’t the most expansive in terms of features, but for your money, it packs a surprising amount of power. We’ll begin with the design. 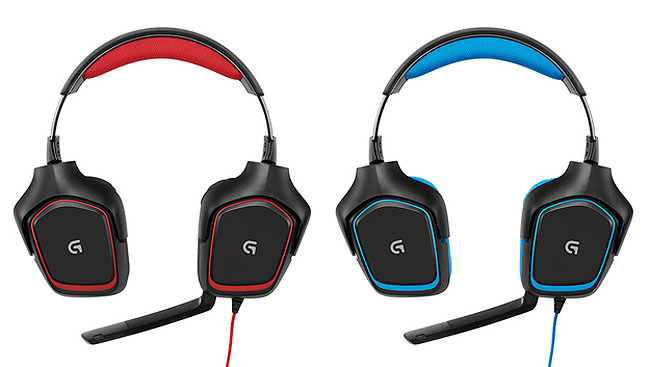 Logitech proves once again to be a tough competitor in the headset market. The G230 is aesthetically slick, with red trim complementing the otherwise black exterior. Its minimalistic design pairs nicely with the low price point. The soft earcup material is also replaceable, so once wear and tear takes its toll, it’s easy to pop on a new set. The G230 doesn’t utilize a USB connection, which limits customizability. Instead, it includes a split 1/8″ cable, with jack for the headphones, and another for the mic. The long cable won’t impede your game-playing or music listening, and you can easily bundle the cord so it won’t get so in the way of anything near your computer or laptop. Enough about what it looks like, the important thing is that the G230 sounds pretty damn good. I started my experiment with the unit by playing Hotline Miami, a game enhanced by a soundtrack of soothing bass and bumping synthesizers. All of the game’s sound elements rang through flawlessly, and the noise-cancelling element of the headset really solidified the auditory experience. Even better than playing games with the headset on is simply listening to music, as you can easily use the G230 as a pair of headphones. Sure, you might look like you’re in Top Gun cosplay walking out into the world with your G230 and your iPod, but that’s easy to overcome since you can’t hear anyone judging you through the noise-cancelling technology. In testing the unit’s microphone, I (and my friends) found my voice came through with superb clarity. Setup was a breeze, and I was able to yell at my gaming companions across the Internet in no time. This is a superior headset that will undoubtedly please a lot of people. The $60 price-point provides a great value, even for casual gamers, but if you’re looking for something with a little more customizability, you may want to up your price range. Otherwise, enjoy this solid headset from Logitech.